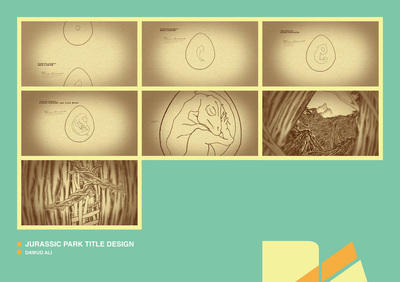 Type project: This is one of my final year project on type. A concept title sequence of this film which it self does not have an opening title. 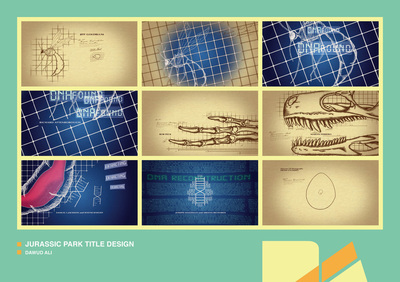 The idea driving this was how to resurrect a dinosaur according to the film narrative. 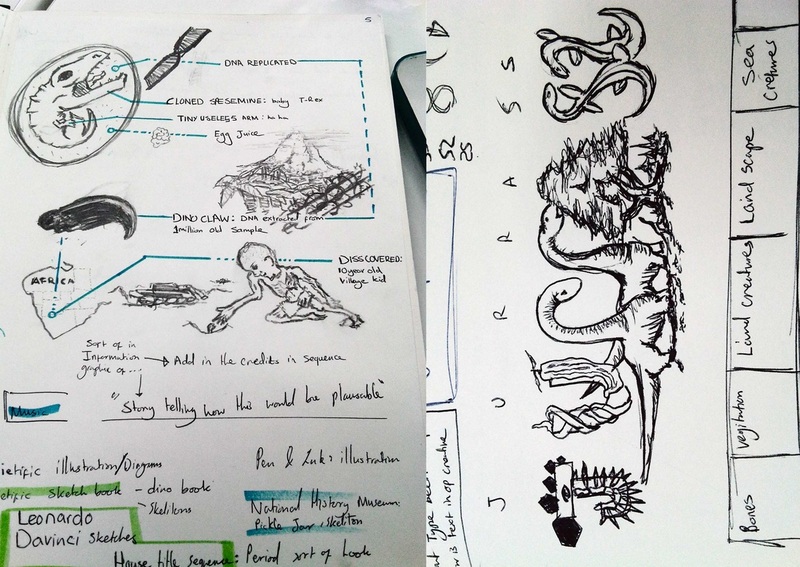 The themes were of the old scientific sketch book such as Da Vinci's sketches of human autonomy to highlight the historic value of dinosaurs and I wanted to juxtapose it with the modern scientific development. 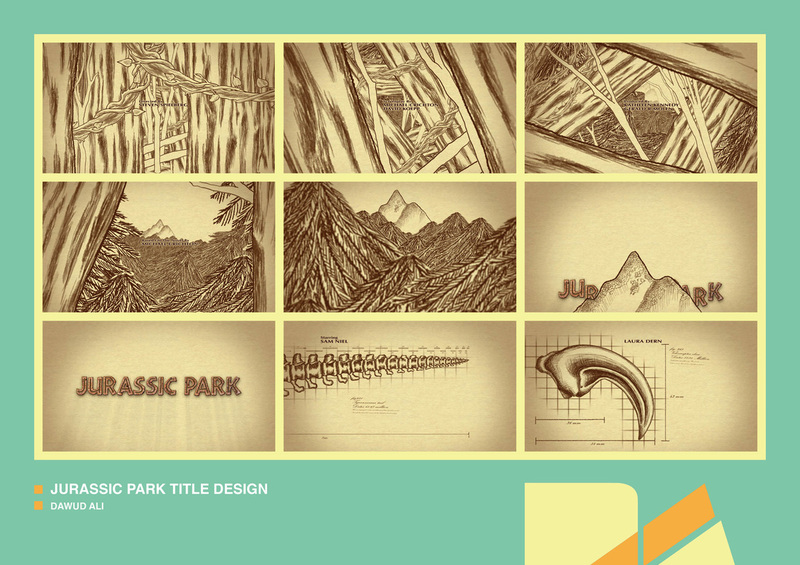 I focused on integrating type to enhance the visual language and approached typography with discovery and exploring in mind derived from the films theme of unearthing the creatures of the past. instead of maintaining type in one specific composition of the the screen. 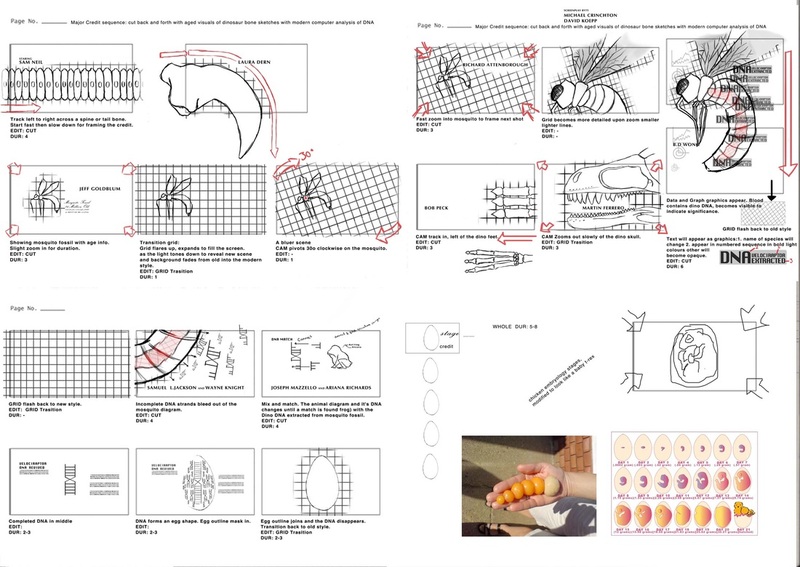 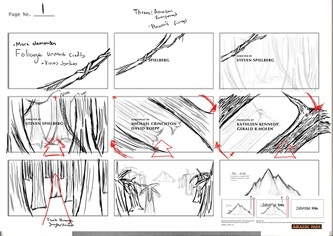 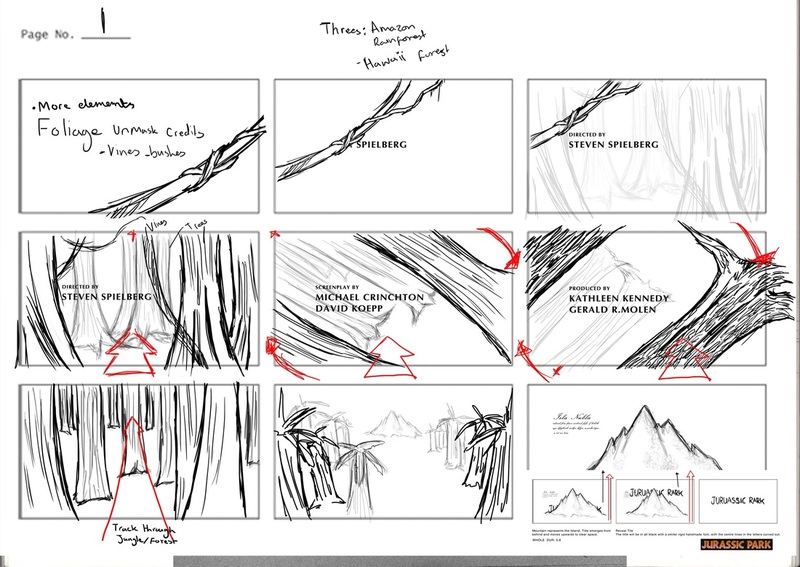 Sketches of different ideas and storyboard. I also thought about animating the word Jurassic using imagery such as the extinct creatures and their environments.